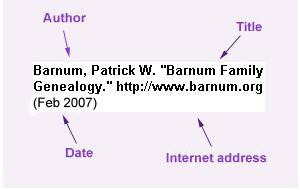 From the Rochester Democrat and Chronicle (NY), March 5, 2004: Beatrice (Barnum) Read died on March 3, 2004. She was born August 9, 1914 and lived in Cheshire. She was predeceased by her loving husband of 64 years, Donald C. Read; her brother Martin and daughter-in-law, Carol Read. She is survived by her daughter, Dottie Read; two sons, Don Read and Bob Read; her brother Jim (Nan) Barnum of California.